As promised, below is the link to our SPE Dallas Improvement Survey. It’s very important that we listen to our members in order to provide you the latest and greatest the industry has to offer and what we need to be doing to improve our section. When you get a moment, please give us your valuable feedback. Your information will be entered in a drawing for a $100 Amazon gift card. Please note that your SPE Membership is expired. Please visit www.spe.org/join/renew to renew online, or call customer service at +1.800.456.6863 to renew over the phone. We are currently in the midst of selecting and electing our 2019-2020 board members. If you would like to get involved in SPE, please send me a note. We can use the help at all levels: from serving as a committee member to serving on the board. We can always use fresh ideas. I’d like to thank those of you who came out last weekend for the Dallas ISD STEM Expo at the Kay Bailey Hutchinson center. Those of you that made it out not only did the community a great service by exposing them to the positive work we do in oil and gas but are now rocking a new wardrobe. SPE Dallas T-Shirts are out and available for purchase. The YPs were out in full force for this event. It was great watching them interact with the metroplex's brightest young minds. On January 16th we had a Distinguished Lecturer in Charles Pope present "An Engineered Approach to Coiled Tubing Intervention in Horizontal Wells" at our section meeting. Those of you who attended will probably agree that it was very eye opening. I highly suggest you try to catch this talk at another location if you are doing coil tubing drill outs. Our Study Group featured Paul Munding with Flogistix where he spoke about "Improving ESP Production Through Compression". It was very well attended with a great Q&A. Next week (on February 20th), we have another former DL in Mark Van Domelen and he will be speaking about "Developing the Next Generation of Completion Engineers". You can register Here. Our study group will feature a speaker from Mohawk Energy who will be talking about "Completion Optimization Case Studies". Registration will be up on our website soon. Our YP's next networking event will be on March 13th where they will be hosting a wine tasting event. If you would like to sponsor or speak at a YP Event, please contact Tyler Palmer @ tyler.palmer@denbury.com. Coming up on April 13th is the Annual Oil & Gas Co-ed Softball Tournament, which is hosted by SPE Dallas and benefits community outreach and education programs. If interested, either to register a team or be a sponsor, contact Brian Chacka @ Brian.Chacka@Denbury.com. Our 27th Annual Casino Night is coming up May 3rd at the Farmers Branch DoubleTree. This event is always a hit so if you are interested in attending or sponsoring please act fast. Registration is available on our website. You can also contact John Tabor (johngtabor@gmail.com) or David Creach (david.creach@oilstates.com). These two and their hardworking committees always put on the best events with the most contributions to our annual scholarships. Our Summer Seminar is coming up June 26th: "Learning through Successes and Failures: A Collection of Completion Case Histories". If you are interested in speaking or sponsoring, please contact Pragnya Maruwada @ pragnya.maruwada@denbury.com. You can register for all our upcoming events Here. Our advertising campaign is up and running. Please contact Joseph Fu (Joseph.Fu@pxd.com) if you are interested. Some of the benefits include website space as well as monthly meeting visibility. Slots are limited. Check out our new LinkedIn Page to keep up with the latest and greatest our section has to offer. Follow us at https://www.linkedin.com/company/spe-dallas/. As always, we are looking for suggestions on how to improve our section and advance our profession. Thanks to those of you who are volunteering to be more involved. We still need help so don't hesitate to reach out. If you have any ideas, please enter them in the survey or email me directly. My email is Robert.Martinez@TitanRockEP.com and my door is always open. Looking ahead: This week, on January 16th, we have a SPE Distinguished Lecturer in Charles Pope and he will be speaking about "Stop, Drop and Circulate – Coiled Tubing Approach". You can register Here. Our study group on January 23rd will feature Paul Munding and he will be talking about "Improving ESP Production through Compression". You can register Here. Our YPs will not be having a networking event this month. If you would like to sponsor or speak, please contact Tyler Palmer @ tyler.palmer@denbury.com. Our advertising campaign is up and running. Please contact Joseph Fu (Joseph.Fu@pxd.com) if you are interested. Some of the benefits include website space as well as monthly meeting visibility. Slots are limited. Check out our new LinkedIn Page to keep up with the latest and greatest our section has to offer. Follow us at https://www.linkedin.com/company/spe-dallas/. Be on the lookout for a Dallas SPE Specific questionnaire this coming week, which will provide valuable feedback for us on how to improve. We will be giving away another Amazon gift card to those who respond. If you have any ideas, don't hesitate to contact me. My email is Robert.Martinez@TitanRockEP.com and my door is always open. Last month: On December 12th we had Dwayne Purvis, P.E. present "The Economics of Shale Plays" at our section meeting. This was also our Toys for Toys meeting, thank you for all who donated! Now with the G20 and OPEC meeting behind us, we hope that oil prices stabilize enough for us to get our work done. Between Russia being disruptive as usual and Qatar being the first to leave OPEC, one wonders if this is the beginning of the end for the oil cartel. Truth be told it appears Qatar is focusing on their natural gas production and LNG export program; they represent over 25% of the world's LNG trade. Domestic natural gas prices are still on the uptick with our recent cold snaps across the country – trading over $4.40/MMBtu. I sound like a broken record but please take the time to renew your membership, especially those of you that didn't pay 2018. If you haven't kept up with your 2018 membership dues, by law, you will fall off our email distribution on 1/1/19, missing out on all the cool stuff we do. So please renew ASAP. Those of you that do and send me their email receipts by year end will be entered in a drawing for a $150 Amazon gift card. Right now, I only have 3 entries, so your odds are pretty good. Winner to be announced in January's newsletter. On another positive note: I'd like to thank all of you who volunteered your time and efforts during this year's ATCE meeting. We received $12,000 from SPE International for all your efforts. 100% of this goes into our scholarship fund! I cannot thank you enough for taking the time out of your busy work day to do this. We are happy to report that this year's Annual "Shoot for your School" Clay shoot last week was an absolute success. Many thanks to David Creach, John Tabor and the rest of the committee for hosting such a great event. We had over 250+ brave out the elements and help us raise funds for our scholarship program. I'd also like to personally thank our vendors and supporters who graciously donated. This event can't happen without your support. On November 28th, the Study Group featured Hussain Sheikha with Denbury who spoke to us about "Unlocking Unconventional Resources with Steam Assisted Gravity Drainage (SAGD)". Like I mentioned in our last newsletter, we also had our annual SPEE/SPE Joint Ethics meeting. On December 12th we will host Dwayne Purvis, P.E., who will be presenting "The Economics of Shale Plays" at our section meeting. This is also our Toys for Tots meeting, so bring a toy or gift card ($20-25 worth) for complementary entry. Please RSVP (pay in person) so we get an accurate head count for lunch. You can register Here. Our YPs will be having a networking event on Wednesday, December 19th, at 6pm at the Quarter Bar on McKinney. This event is graciously sponsored by NCS Multistage. They will also be hosting a Toys for Tots collection. You can register Here. We will not be having a Study Group meeting this month since most will be at home in their jammies watching "A Christmas Story" or "National Lampoon's Christmas Vacation". For our monthly meeting on January 16th we will host a Distinguished Lecturer in Charles Pope, who will be presenting "Stop, Drop and Circulate – Coil Tbg Approach". If you've ever been stuck with coil (not fun) you need to make this one. Registration Link coming soon. Visit the Dallas Section Events page to register for all our upcoming events. I'd like to thank Kristie Bartlett at Comstock for stepping up and being our Social Media Chair. Check out our new LinkedIn Page to keep up with the latest and greatest our section has to offer. Follow us at https://www.linkedin.com/company/spe-dallas/, all the cool kids are doing it. As always, we are looking for suggestions on how to improve our section and advance our profession. 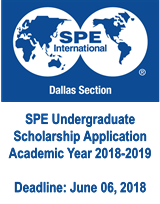 Be on the lookout for a Dallas SPE Specific questionnaire which will provide valuable feedback for us on how to improve. We will be giving away another Amazon gift card to those who respond. As many of you know, oil prices took a significant hit over the last month. There are a number of different factors at play here, so even the most savvy experts in the commodity markets are afraid to put out their hypotheses. Production exceeds demand by about 3 MMbbl/day when compared to 4 years ago. The difference is that in 2014, this was just prior to OPEC's announcement to increase production, effectively dropping oil prices. This week, OPEC is making noise about curtailing production. Even though we want to believe that we are completely shielded from OPEC and their market impact, many of us are looking forward to their announcement and are hopeful they tighten up supply. On the bright side, gas prices are roaring in anticipation of a cold winter. I am seeing near term hedges in the $4.00 range. Not too bad for "low for long". As the technical experts in the industry, we should always have an eye towards commodity headwinds. Our engineering and project economics must be firmly grounded in the technical analysis. We must stay the course and hold firm in our technical work. If we get too caught up trying to predict commodity prices, we lose. Like a no-limit hold 'em tournament, don't let fear get in the way of the fundamentals. That being said, don't be so obdurate and get yourself run off or get your aces cracked. Please take the time to renew your membership. Those of you that do and send me their email receipts will be entered into a drawing to win something really cool. I'm open to suggestions on what to give away. No, we aren't giving away a frac job. The speaker at our monthly meeting in October was our first distinguished lecturer of the season: John Hedengren, Ph.D., who presented "Drilling Automation and Downhole Monitoring with Physics-based Models". Our study group featured John Fanchi who spoke to us about "Reservoir Modelling Workflows in Reservoir Management". To wrap October up, our YP's Networking Event featured Steven Cobb from Pearl Energy Investments. We just had our annual SPEE/SPE Joint Ethics meeting where Dwayne Purvis spoke to us. For those of us who are PEs, this met our annual continuing education requirements. We also had our 2nd Annual YP Thanksgiving Dinner at Ross and Hall, featuring and sponsored by Bubba Brooks with Premier Pressure Pumping. It was a great event put together by Kristi Bartlett and our wonderful team of YPs. On December 12th we will host Dwayne Purvis, P.E., who will be presenting "The Economics of Shale Plays" at our section meeting. Registration link coming soon. On November 28th, this month's Study Group will feature Hussain Sheikha with Denbury who will speak to us about "Unlocking Unconventional Resources with Steam Assisted Gravity Drainage (SAGD)". You can register here. We are happy to report that this year's Annual "Shoot for your School" Clay Shoot is sold out. It will be on Thursday, December 6th, at Elm Fork. We still have sponsorship levels available. Please contact John Tabor or David Creach for more info @ 214-707-1981 or JohnGTabor@gmail.com. Our advertising campaign is up and running, get with Joseph Fu (Joseph.Fu@pxd.com) if you are interested. Slots are limited. We are looking for a Social Media Chair. If you are good on the internets, please reach out, we could use the help. As always, we are looking for suggestions on how to improve our section and advance our profession. If you have any ideas, don't hesitate to contact me. My email is Robert.Martinez@TitanRockEP.com and my door is always open. I'm a firm believer in continuous improvement and this section is no different. Be on the lookout for a short survey in a separate email to help us understand: what are we doing right, what are we doing wrong, how can we improve, what do you want to see. It's important we understand our member needs and requests. No identifying information will be necessary and you won't be spammed. This will solely be used by our board as guidance on how to improve. For those that are interested, we will be randomly drawing for a $100 Amazon gift card for those who have submitted a survey. The speaker at our monthly meeting in September was Tanner Wood with CoreLab ProTechnics who discussed "Interwell Communication Study of Upper Wolfcamp and Middle Wolfcamp Wells in the HFTS". Thank you to those that participated in our "SPE Cares" initiative. Our section brought in quite a haul for the school supply drive. On October 17th we will host an SPE Distinguished Lecturer, John Hedengren, Ph.D., who will be presenting "Drilling Automation and Downhole Monitoring with Physics-based Models" at our section meeting. You can register here. Our YP's Networking Event will feature Steven Cobb from Pearl Energy Investments on October 18th at The Skellig in Dallas. This event will be sponsored by Balon. You can RSVP here. On October 31st, this month's Study Group will feature John Fanchi who will speak to us about "Reservoir Modelling Workflows in Reservoir Management". You can register here. If you are in the service industry and want to have visibility with arguably the biggest and most technical group in DFW, I highly suggest getting with Joseph Fu (Joseph.Fu@pxd.com) as soon as possible. Slots are limited. September was a busy month with this year's SPE Annual Technical Conference taking place here in Dallas. Our section was well represented, and I am especially grateful for those of you who volunteered many hours of your time to make sure it was a success. Terry Palisch, Scott Sheffield, and David Wesson all received their SPE International awards. This year there were over 8,000 attendees. Next year's ATCE will be held in Calgary, Canada. Please note that the Call for Papers for that conference is open with a deadline for abstracts of January 21, 2019. If you've ever had the desire to write a technical paper, I would like to encourage you to do so. Sharing technical information is our primary goal. We have several resources available, including our own members who've written countless papers and even serve on the technical committees. Shoot me a note if you are interested in writing a technical paper, I can get you connected with the right folks. Football season is finally here which gives us something else to bicker about in the workplace rather than politics and the weather. I am please to report that Anabriela Treviño and her Scholarship Committee met and reviewed many applications for the Dallas Section Scholarship program. This 2018-2019 school year we awarded over $47,000 in scholarships to 18 students from 8 different universities. The awards when out last month and we have begun to receive thank you letter and pictures of the recipients. Some have been posted on our site. I am very appreciative of the support of our section and hard work of section officers in their fundraising and volunteering efforts to make this possible. The financial impact these scholarships will have on these young students, that will someday be peers and maybe section members, is great. I’m sure you can think back to when you were an undergraduate student not sure what the future holds, living week to week, eating ramen noodles. Admit it, there’s no shame in eating those $0.10 meals. We did just get out of a downturn, right? I want to personally that you for answering my call for volunteers last month. We filled a big percentage of the slots needed to pull off ATCE. The main need we have right now it tour guides for our high school and middle school students on Wednesday the 26th. If you are so inclined, please contact me. You will need to be registered for ATCE to volunteer for this. Our Section is fortunate to have a high number of very experienced and knowledgeable members and we are happy to announce that 2 members have been recognized by SPE International at this month’s Annual Technical Conference, September 24th through 26th. Recognizes contributions to the Society of Petroleum Engineers that exhibit such exceptional devotion of time, effort, thought, and action as to set them apart from other contributions and thereby create an indebtedness of the Society to the contributor. Terry has served the Dallas Section throughout the years in many capacities (including being 2013 Chair). Additionally, he has assisted hundreds in their preparation for technical papers for SPE. I have been very fortunate to have crossed paths with him over the last 10 years. Established by AIME in 1932 and is awarded for distinguished achievement in mining administration, including metallurgy and petroleum. Such achievement is marked by leadership, ethical conduct, support of innovation or administrative changes at senior management levels such that companies or industries were impacted positively during their time in such management positions. Scott has been a prudent supporter of the Dallas Section while at Pioneer Natural Resources. Pioneer continues to have more section members than any other organization and we are very appreciative of their commitment. Pioneer has not only produced leaders for our section, they also host our monthly board meetings. Another one of our members is also receiving a SPE Regional award in Completions Optimizations and Technology. David’s home section is Southwestern North America, but he is also a member of the Dallas Section. He is Founder, President and CEO of GEODynamics (among other things). Please join me in congratulating Terry, Scott and David on their accomplishments and recognition. 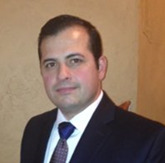 The speaker at our monthly meeting in August was James Harden III which discussed “Oil Price and Valuation”. Our Study Group hosted Jeff Saponja of HEAL Systems where he taught us a bit about “Improved Artificial Lift Design to Reduce Operational Costs and Risks”. Our YPs hosted a networking event on Thursday, August 9th from 6:30pm at Sherlock’s in Addison. On September 19th Tanner Wood with CoreLab ProTechnics will discuss “Interwell Communication Study of Upper Wolfcamp and Middle Wolfcamp wells in the HFTS” at our section meeting. For this meeting we will be supporting “SPE Cares”, a SPE Community Service initiative. We will be conducting a school supply drive aimed at supporting local schools participating in STEM. Bring $20 worth of school supplies (notebooks, binder, folders, pens, pencils, sharpies, highlighters, calculators, etc) to the next meeting and you get in for free. Please re-register so we can get our lunch count right or you may be stuck eating glue sticks and erasers. We will not be having a study group or YP meeting this month due to the ATCE conference. We will be kicking off our advertising campaign soon. If you are in the service industry, I highly suggest getting with Joseph Fu (Joseph.Fu@pxd.com) as soon as possible. Slots are limited. As always, we are looking for suggestions on how to improve our section and advance our profession. If you have any ideas, don’t hesitate to contact me. My email is Robert.Martinez@TitanRockEP.com and my door is always open. Better late than never they said; and this being the oilfield, I didn’t want to “hurry up and wait”. It is a pleasure to introduce myself as this year’s SPE Chairman for the 2018-2019 term. Welcome to the June through August e-Newsletter and my first installment of the Chairman’s message for the SPE Dallas Section. Although June 1st marks the beginning of a new year for the Section, your board has been working feverishly behind the scenes to bring you the best technical information, speakers and networking possible. I’d like to thank Rob Bruant and the 2017-2018 Dallas Section board for their leadership and hard work over the last year. While we are excited to have several board members remain with us another year, we are thrilled to see several new faces on the board. This year the Section will continue to provide quality educational programs via our monthly section and study group meetings, our YP members will continue to grow and mentor the younger members of the section, our sports and social committees will provide quality programs to allow members to network as well as raise funds for scholarships, we will continue to provide significant scholarship and networking opportunities to undergraduate and graduate students in the region. We also will promote a positive image of our industry in our schools and community. One of the ways we can do that is to volunteer and there will be several opportunities to do so. We started out the year with a bang on June 20 in Trevor Rees-Jones where led us on a “Walk down the Road of the Shale Revolution” along with some history on Chief Oil & Gas. It was one of highest attended meetings since I’ve been a part of SPE in Dallas. On June 4th we had our annual golf tournament at Firewheel golf course followed by the annual summer conference “Emerging Technologies in Unconventional Development” on 27th of June at Brookhaven. These two events are very important to our section and help accomplish our goal of disseminating technical information to our members and raising money for scholarships. Special thanks to our board and committee members who volunteer their precious time to make these a success. Our monthly meeting on July 18th was Don Fry, a consulting geophysicist, who spoke to us about “New Concepts for Drilling and Completion.” Last week we had Dr. Stephen Molina, the UT Dallas Energy Management Program Director, come speak to our study group about the U.S. Energy Independence. We are looking forward to working with UTD and meeting their Energy Management Program students at upcoming SPE monthly meetings. Our Young Professionals group, the lifeblood of the organization has really come on strong and we are excited what the future holds for the section. Being a middle aged guy, it was fun being invited to share a few “Don’t do this / This didn’t work out to well for me / That was dumb” moments at the monthly YP networking event. If you are a young professional, I hope you make it out to get to know others in the same boat as you. If you are old like me, the YP’s can surely learn from our mistakes and I hope you consider sharing your experiences with them. We hope the rest of you will come out in support of the section and help us grow to our largest membership yet. On August 15th James Harden III will discuss “Oil Price and Valuation” at our section meeting. The talk will discuss what's moving oil prices and potential scenarios of oil prices. The cost of capital and public company equities' relationship to oil prices will also be discussed. On August 29th, we will learn about “Improved Artificial Lift Design to Reduce Operational Costs and Risks” from Jeff Saponja (CEO, HEAL Systems) at the Study Group meeting. Our YPs will also be hosting a networking event on Thursday, August 9th from 6:30pm at Sherlock’s in Addison. While the success of our section is certainly related to the hard work of the Section Board and Committee chairs, the biggest part of our success is dictated by you, the members of the section. One of my main priorities this year will to grow the section and bring more members to our meetings and events. We currently have over 1500 paid members in our section. After looking at our section data, something was very apparent to me. 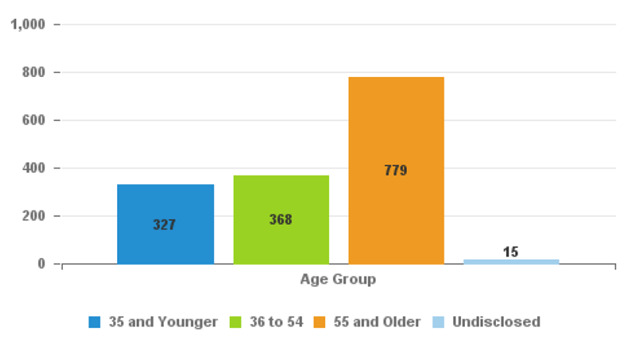 Over half of our membership is within retirement age in the next 5 years. That tells me if we don’t grow the section, (and fast) we stand to dwindle into sub 1000 members. That should never happen in Dallas of all places. There was a show named after our city that created the oilman stereotype - but unlike those stars who had no clue how to pull a well or find the key to the v-door, our section membership is incredibly talented. It is my hope this year that everyone in the section will assess these talents and look for at least one opportunity to volunteer and help us achieve our outreach and growth goals. 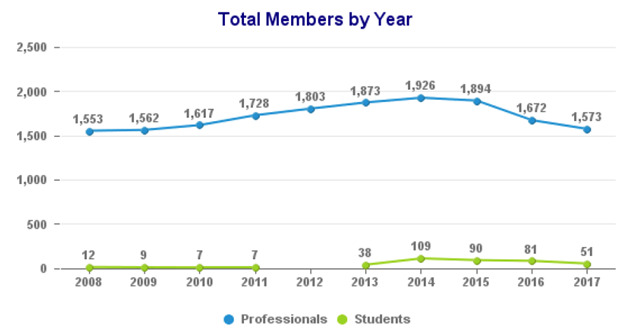 Take a look at the annual membership year over year. As you can see, the downturn knocked us in the head pretty good. I need your help to turn this around. You can start by renewing and if you can read this chances are you already have. Please encourage your friends and engineers that aren’t getting this to come to a meeting and see what great technical info we put out and networking opportunities we provide. Speaking of opportunities to help: Did you know we are the home team for ATCE this year? This year’s SPE Annual Technical Conference is right here in Dallas on September 24-26th, 2018. We will be needing some help and as the home team I hope we can depend on many of you to show up in force. Please contact me or any of the section leadership for how to get involved, we can most certainly use the help. Study Group - How Well Do I Know My Well?